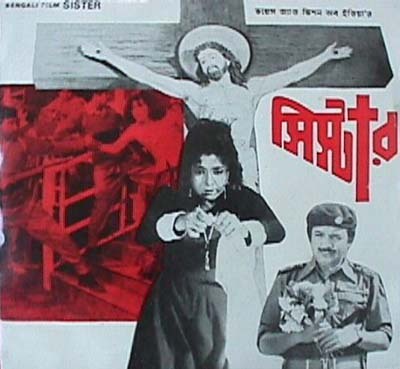 Although the Bengal heart throb 'Uttam Kumar' was one of the main characters in this film, the very poor direction was the main reason for this film to be a complete flop. The saving grace is definitely the church choir "biswapita tumi he probhu". Salil shows his mastery again in composing such songs. I remember hearing similar hymns in Kerala churches. As we all know, Salil traveled to Kerala often and he must have listened to these church hymns. Salil created a beautiful hindi version of this song in the hindi film Minoo (MN1). Aparently, a beautiful song "kano amon mor mon kore amon" recorded by Asha Bhonsle for this film was excluded in the final cut and has been lost. A big loss for all of us and for many Ashatai devotees. 'Himeli himeli raatey' doesn't match the sheer power and the richness of it's hindi version sung by Asha (OB24) or it's malayalam version (RL1) in the film 'Raasaleela'.